A cuddly toy of your dolphin. Gifts pack featuring dolphin facts, an adoption certificate, a greetings card and tips on how to live a greener and more environmentally friendly life. Wild-World magazine delivered three times a year, and is a great read for all ages. Dolphins are some of the most playful creatures on the planet, and they love to interact with humans almost as much as they do each other. They love to hang around in groups called “pods’’, and they really care for each other and even carry fellow members when they are sick. Dolphins are one of the cleverest animals on earth and like nothing more than to spend their time playing with their friends. Thousands of dolphins die every year getting caught in fisherman’s nets. Your donation will help WWF to stop illegal fishing in many seas and help build marine protected areas to stop dolphins from needlessly getting caught in such nets. A cuddly toy makes this an ideal gift for children. Dolphins are super intelligent and often help humans if in distress at sea. There are 36 different species of dolphin on the planet, and 4 of them live in rivers. 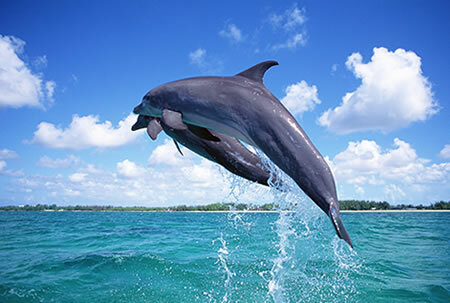 Some dolphins can dive as low as 260 metres, with others able to leap 30 feet in the air! Dolphins are the only mammals to give birth tail first instead of the head first. Each dorsal fins is completely unique to dolphin making it easy to identify one from another. Even though we are one of the cleverest mammals on the planet, we still need looking after. We love to leap and play in the water and really like humans but every year thousands of us die in fishing nets across the globe. If you adopt me, you will be helping WWF to improve the management of seas to stop the illegal fishing nets that we get caught up in. Please adopt me today and help us play in peace. Dolphins are super intelligent and there are 36 different species on the planet. The majority of dolphins love the ocean but there are 4 species of dolphins that live in rivers! Dolphins are incredibly athletic – some have been known to leap 30 feet in the air. That roughly the height of a two story house. Dolphins have 100 teeth but they don’t use them like you or I for eating. They use them to help catch fish, then they swallow them down in one without chewing. Not how we were taught to eat by our parents. When dolphins sleep only half of their brain is at rest. This means the other half of their brain is alert to any dangers. 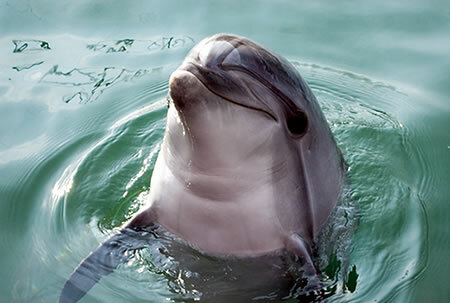 Dolphins need to be conscious to breathe – another reason why half of their brain remains awake whilst they are asleep. If their brain went completely to sleep they’ve forget to breathe and drown. Dolphins are one of the world’s best loved animals but they are in danger. Aggressive fishing practices kills thousands every month. 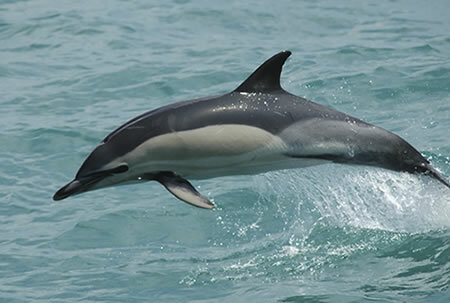 By adopting a dolphin with WWF you can help to protect dolphins and other marine species.